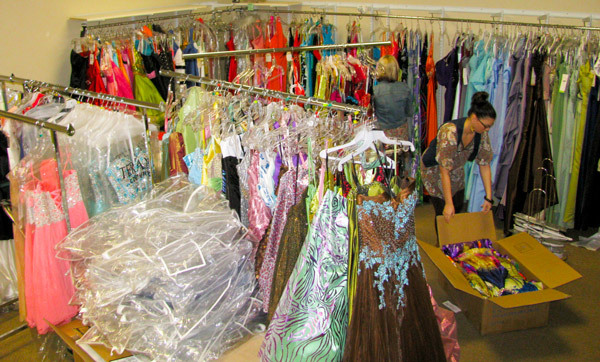 TJ Formal Dress Blog: TJ Formal donates prom dresses to charity! Attending prom is a big event in most girls' lives. They dream about it and plan for it months in advance. But attending prom is also a big expense. Once you buy a dress, shoes, jewelry, tickets, get your hair done, nails done, etc. it can be in the hundreds of dollars. Unfortunately there are some girls who can't even fathom going to prom because of the cost. Last week, the staff at TJ Formal packed up several hundred brand new prom dresses to send to many charity organizations around the country. 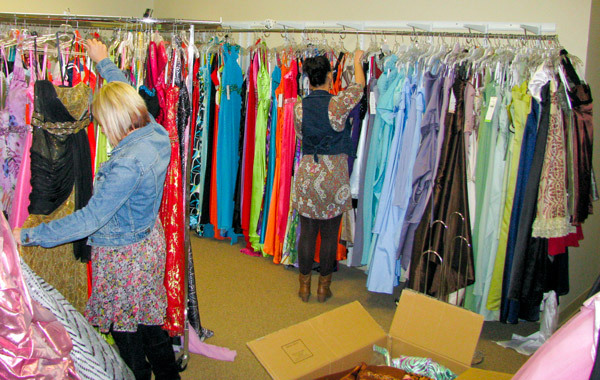 These organizations help girls, who cannot afford to go to prom, find the dress of their dreams so they can attend Prom 2012. A small rural library in North Carolina, one of the poorest in the state, is planning on having a prom fashion show to help raise money for the library. The event will take place in March 2012. We hope many, many girls find their dream dress and are able to attend prom with the help from these worthwhile projects! Wow !! God Bless TJFormal! THANK YOU for remembering others. What a great example!